Last semester, the American Constitution Society, Family Law Society, and OUTLaw hosted a panel on Obergefell v. Hodges and LGBT Equality. The lunchtime talk featured three panelists: Temple Law’s own Professor Leonore Carpenter, Temple Law alumna and attorney Andrea Anastasi, and Pennsylvania Representative Brian Sims. Each panelist provided insight on the monumental Supreme Court case and its implications for the legal and LGBT community. The second speaker was Temple alumna Andrea Anastasi, an attorney with advocacy experience at the policy level and in direct services. She focused her commentary on where the country is heading in terms of LGBT equality. Ms. Anastasi noted that the Obergefell decision, while certainly a step in the right direction, was only about marriage—what about equality in work settings, housing, public accommodations, schools, and healthcare? An uncoordinated “patchwork of laws” remains in these other settings, according to Ms. Anastasi. Additionally, she stressed that the Obergefell case brought to light many of the vulnerabilities that the equality movement is bound to face. For example, post-Obergefell there has been a rise in religious freedom arguments as a justification for discrimination. Ms. Anastasi also challenged the event attendees to constantly be thinking of the equality argument in new ways. 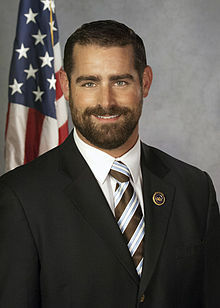 Pennsylvania Representative Brian Sims was the final speaker and enlightened the event attendees as to the current state of LGBT equality in Pennsylvania. Representative Sims began by pointing out that there is still no statewide LGBT civil rights protection in Pennsylvania, aside from the nationwide marriage right afforded by Obergefell. Two years ago, the Pennsylvania legislature introduced a PA Marriage Equality Act, but the Obergefell case beat it to the punch. Representative Sims also explained what he referred to as the “LGBT package,” which consists of three categories of law that need to be passed in order to ensure LGBT equality (excluding the issue of marriage equality, which was decided in Obergefell). The three categories of law are: non-discrimination, anti-bullying, and hate crime protection. Representative Sims ended by expressing some concern about the opposite directions in which LGBT rights and women’s rights are going. He noted that the two sets of rights used to go hand-in-hand but now that LGBT rights have taken such a huge step forward with the Obergefell case, we have to ensure that women’s rights do not get left behind. The event provided attendees with a comprehensive and thought-provoking look at the historic Obergefell case and the current state of LGBT equality rights.